Ready for an Adventure Under the Sea? Tourists are attracted to seaside tours which allow them to scuba diving or snorkel. These activities let them experience the peace and quiet of a natural environment under the sea and allow them to explore deserted and mysterious areas. In late 1990s, some foreign companies began to invest in diving clubs in the city of Nha Trang, including the Rainbow Divers Club of Jeremy Steins. 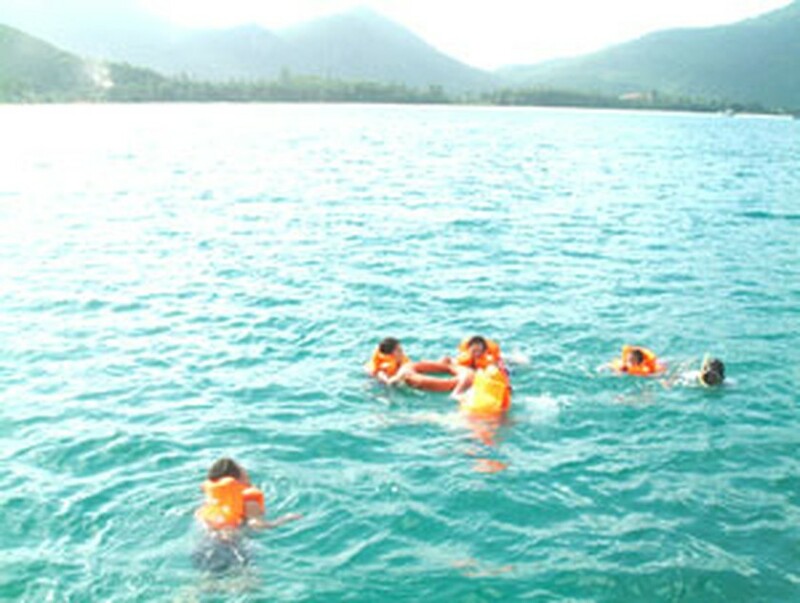 Diving and snorkeling were thus introduced to Viet Nam. Hon Mun Island in Nha Trang Bay is considered one of the most interesting places for diving in the Southeast Asia. 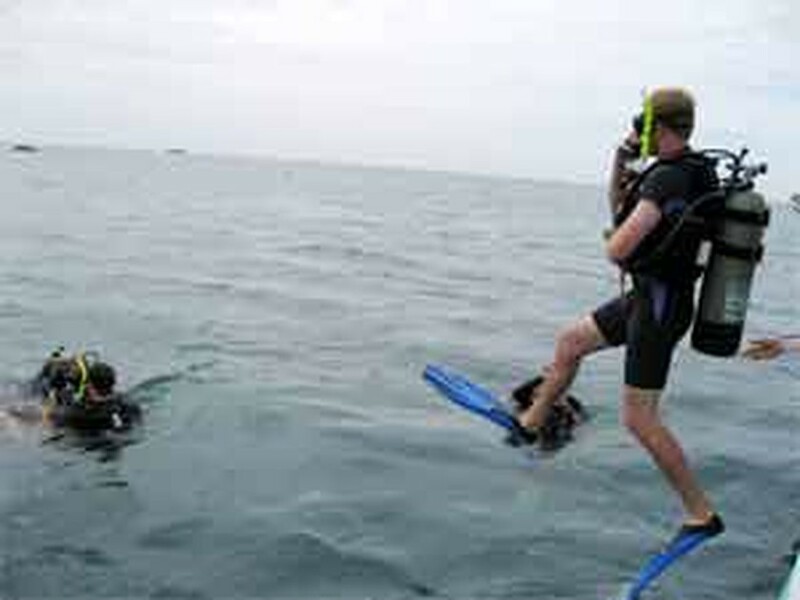 Scuba diving and snorkeling are two common types of diving in Viet Nam. The latter is more common as it does not require that the diver have a great deal of training or expertise. Before diving into the sea to explore the marine plants and animals, the diver practices while wearing the equipment and floating. The prospective diver learns how to use his fins so that he can control his movements. He also learns how to hold his breath and go up to the surface to clear his snorkel or mask after a wave puts water into them. Unlike snorkeling, scuba diving requires that the diver understand the physical and biological effects on the body when diving as well as the dangers. The diver also practices what to do if the scuba equipment fails to work unexpectedly. Once the diver has the basics down, he can experience advanced dives that require more complicated skills. There are different courses for divers of different levels, and dive certification a must for anyone who wants to scuba dive. To scuba dive or snorkel, a diver must be in good health and in stable psychological condition. Those who have drunk alcohol or suffer from heart diseases are not be allowed to take part in this activity. The best time for a diving is between 9 a.m. - 11 a.m. or 3:00 p.m. – 4:30 p.m. For many divers, diving at night is an option that allows them to view various kinds of crabs, lobsters, and shrimp going about their business. Most of the fish they see during the day hide away and sleep at night and many that can't be found during the day can be seen all over the reef at night. When they turn off their flashlights, divers can see the bioluminescence from organisms that glow in the dark. Tourists can enjoy diving in Con Dao, Phu Quoc, Da Nang, Vinh Hy Bay in Ninh Thuan Province and in Nha Trang. Three islands that attract many divers in Phu Quoc district are Hon Vang, Hon Thom and Kim Quy. Divers can contemplate the beautiful coral reeves. Different species of fish may be viewed and one may even see a dugon, a mammal similar to a seal. Vinh Hy in Ninh Thuan province is considered one of the most beautiful bays in Viet Nam. It takes tourists about an hour to get there by bus from the city of Phan Rang. After taking passengers for a cruise to let them view the unbelievable beauty along the bay, the boat will stop offshore to let them scuba dive or snorkel. Con Dao district, consisting of 16 islands, has recently emerged as an ideal site for diving. The islands of Hon Tre and Hon Tai are famous for their colorful coral reef. If they are lucky, divers may run into a dugon or a green turtle (Chelonia mydas), both endangered species. However, Hon Ong and Hon Mun islands in Nha Trang are preferred by many divers because of their colorful coral reeves and strange species of fish which are very friendly to divers. Hon Mun can be viewed as a gorgeous palace under the sea. It takes about 40 minutes to there by motor boat from Nha Trang.